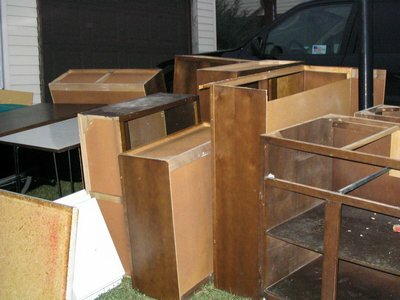 The cabinets were so icky (scratched and dirty) that I spent New Year's Day 2004 ripping them out. 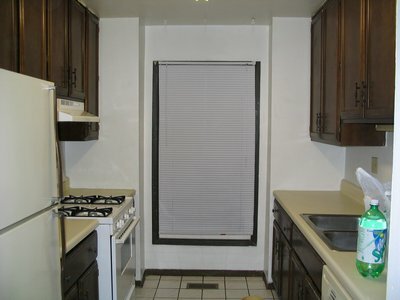 Then spent months patching, painting, laying laminate tile flooring, assmbling and installing new IKEA cabinets, new counter top and sink. 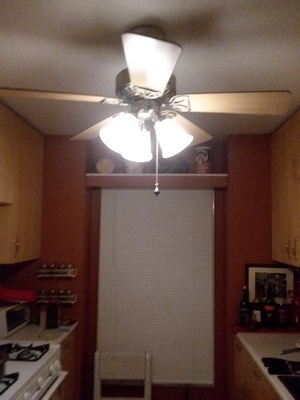 Ceiling fan replaced old fluorescent light. 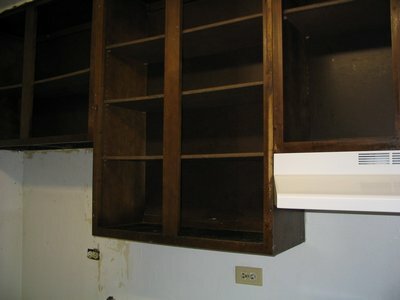 It has a half inch clearance on each side when cabinet doors are open!